Spring is around the corner, and Master Gardeners across central Florida are gearing up for festivals and plant sales. The UF/IFAS Extension Master Gardeners Volunteer program, part of the University of Florida Institute of Food and Agricultural Sciences, is celebrating 40 years in Florida. There are approximately 4,000 Master Gardener volunteers across the state, said Wendy Wilber, UF/IFAS Extension state Master Gardener coordinator. New this year is the participation of the UF/IFAS Extension Bookstore. The bookstore features a variety of items, including gardening products, posters, apparel and the latest books from UF/IFAS researchers. For more information, visit www.ifasbooks.com. Osceola County: Florida-Friendly Landscaping Spring Garden Festival. 9 a.m. to 3 p.m., Saturday, Feb. 23 at Kissimmee Osceola Heritage Park, 1911 Kissimmee Valley Lane, Kissimmee. Plant sale, food, vendors and workshops. Free parking and entry. Seminole County: Seminole County Gardening Expo. 9 a.m. to 2:30 p.m., Saturday, Feb. 23. Location is 250 West County Home Road, Sanford. Entry and parking are free. Event will feature her gardening, pop-up, how-to clinics and demonstrations, kids’ activities and more. Orange County: Healthy Living Expo, 7:30 a.m. to 4 p.m., Saturday, March 2. UF/IFAS Extension Orange County office, 6021 S. Conway Road, Orlando. 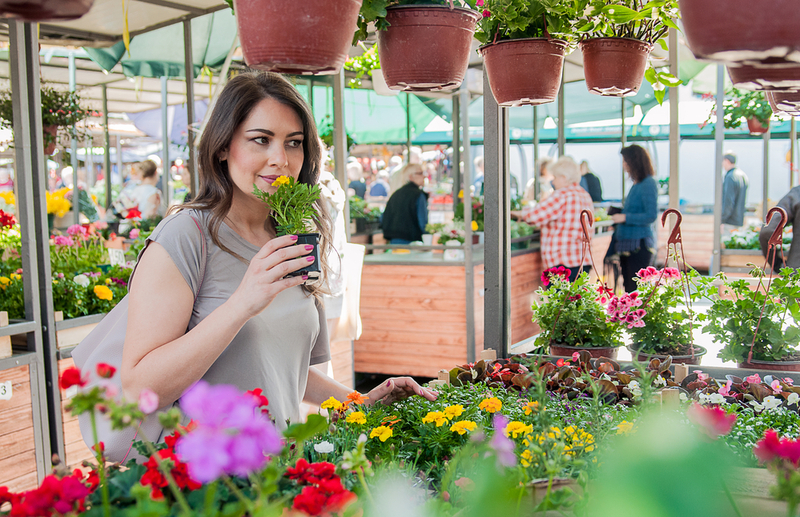 The Healthy Living Expo is comprised of three events: a 5K Milk Run/Walk, Master Gardener Plant Sale and Garden Festival, and workshops throughout the day. Entry and parking are free. Marion County: Master Gardeners’ Spring Festival,8 a.m. to 4 p.m.Saturday and 9 a.m. to 4 p.m. Sunday, March 9-10.Southeastern Livestock Pavilion, 2232 NE Jacksonville Road, Ocala. Admission is $2 for anyone over 12 years old. Free parking. The event will feature a kids’ gardening zone, food truck rally, plant sale and experts on site. Sumter County: Spring Garden Festival.8:30 a.m. to 2:30 p.m.,Saturday, April 6. Wildwood Community Center, 6500 Powell Road, Wildwood. $2 admission. Lake County: Landscape & Garden Fair,9 a.m. to 4 p.m., Saturday and 10 a.m. to 3 p.m. Sunday, April 13-14. UF/IFAS Extension Lake County office, 1951 Woodlea Road, Tavares. Parking and entry are free. The event will feature children’s activities, workshops, plant sales and much more.